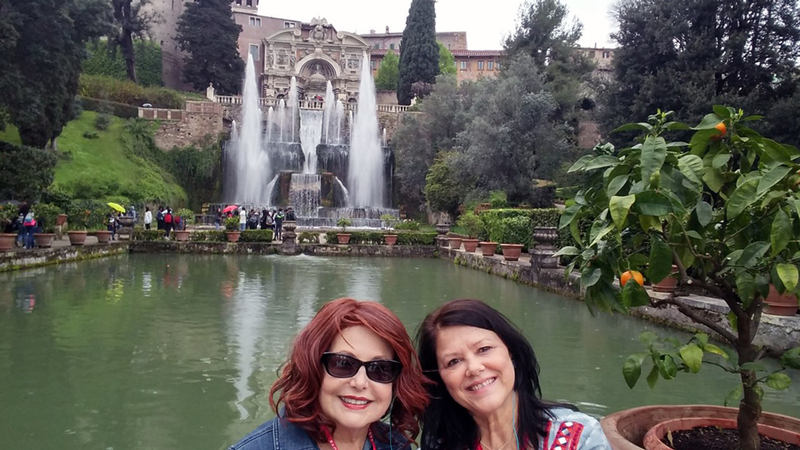 I was fortunate to be able to experience this breathtaking tour of Italy with my sister which made it just extra special. 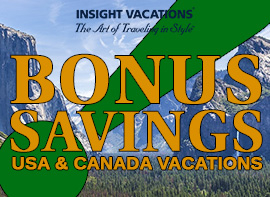 I think it would also be so fun to go with a big group of girlfriends, several couples or a romantic escape with a spouse or significant other for sure. So…at least two more times may be in store? 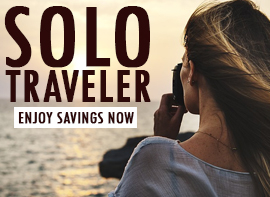 There are so many sights to see I know there would be new adventures each time, not to mention revisiting some of my favorite spots again, I’m ready to plan to go back! 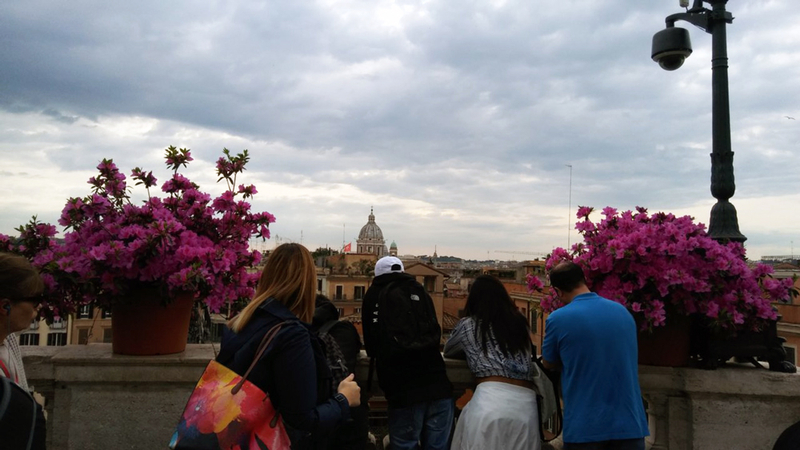 Day 1 – The tour started in Rome with 3 full days there. 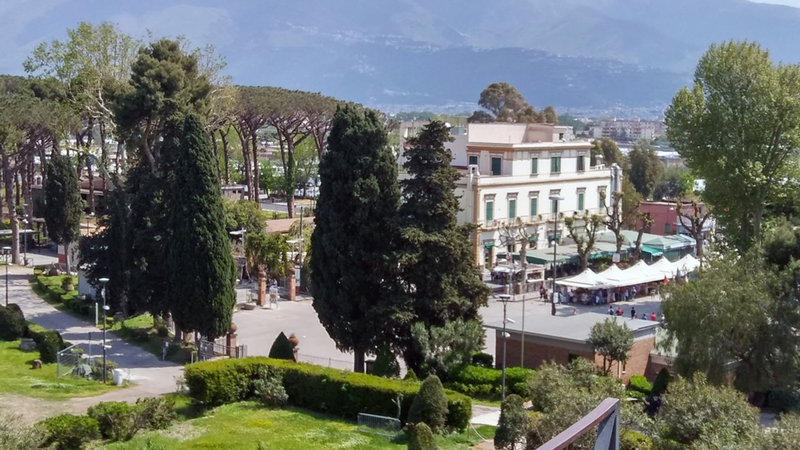 We arrived late afternoon at a beautiful hotel in a great location near the House of Queen Margherita for whom the well known and most talked about pizza in Italy was named. Our lovely Tour Director Lara was outside the hotel waiting for us to arrive which was such a relief and indicative of her attentiveness during the whole tour. Lara was right there to reassure we were there in time to freshen up and relax a bit before our Welcome Reception. 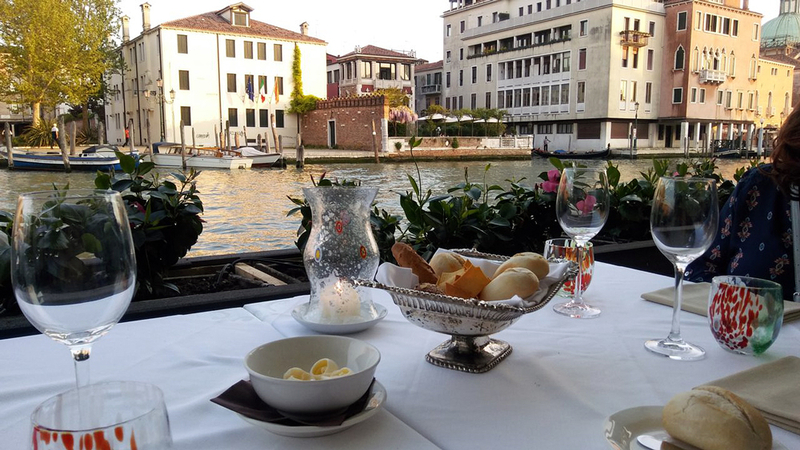 We dined with fellow travelers that evening at the quaint Amadeo Ristorante near the hotel. Tables in a private room were all reserved for us and adorned with freshly baked bread and 2 full bottles of wine on each end. We were seated at a table for 4 and enjoyed getting to know a lovely couple from St Paul, MN. 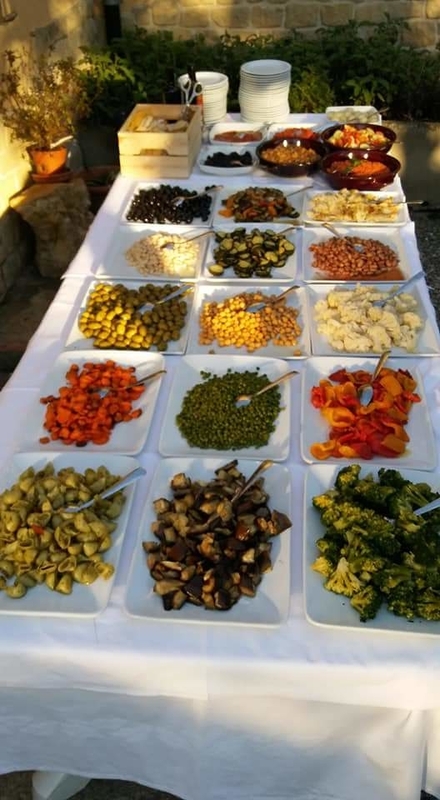 Delicious lasagna, Eggplant Parmesan, grilled vegetables, Grappa, Ameretto Biscotti and Espresso are among the menu items. So far we are off to a great start! 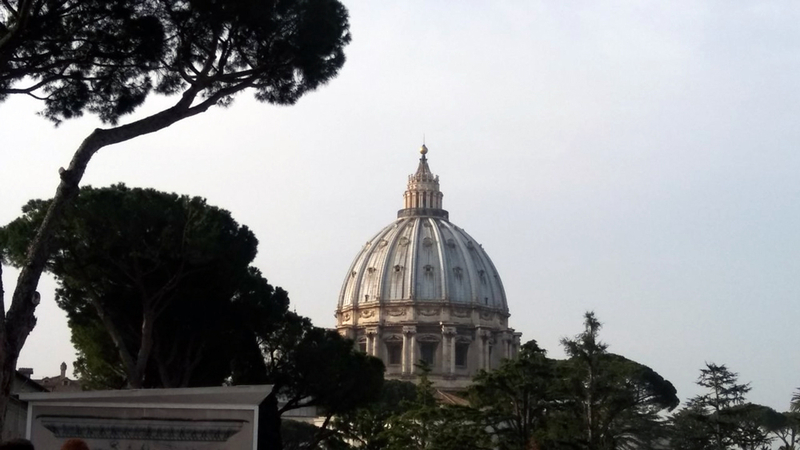 Day 2 – In the morning we were off to Vatican City, St Peter’s Basilica, the Vatican Museums and awe inspiring Sistine Chapel. Words fail. 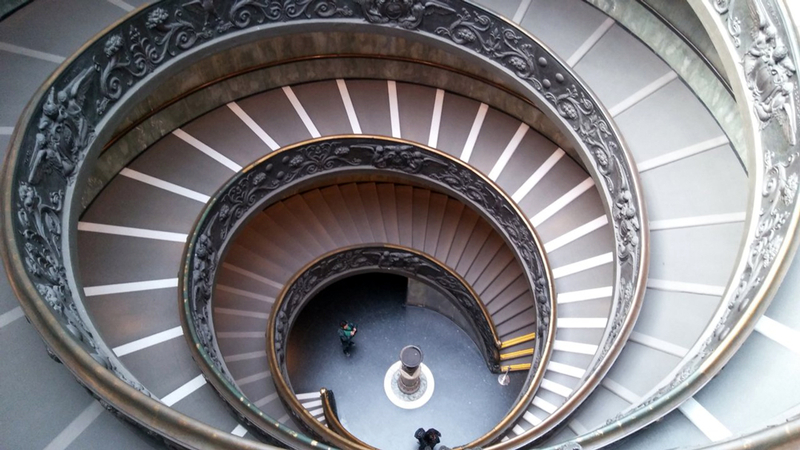 What a privilege to be enveloped by the exquisite art, architecture, and history, I feel overall reverence. 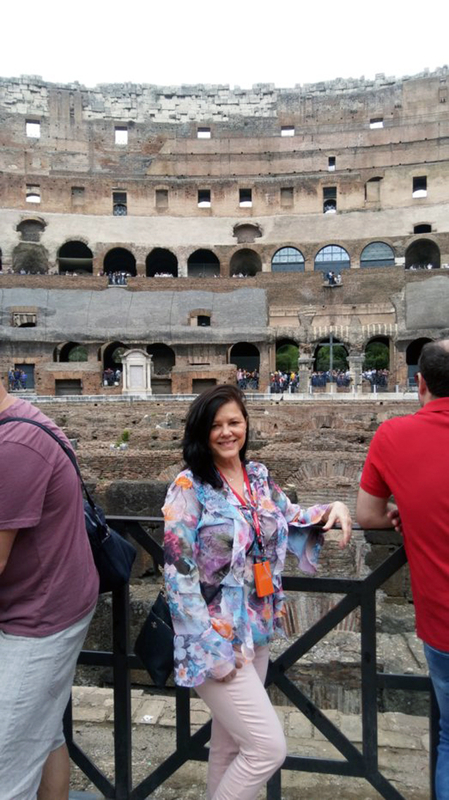 It’s incredible to me citizens of Rome get to live among these ancient ruins, historical sites and most respected art in the world. Overwhelming to fathom. 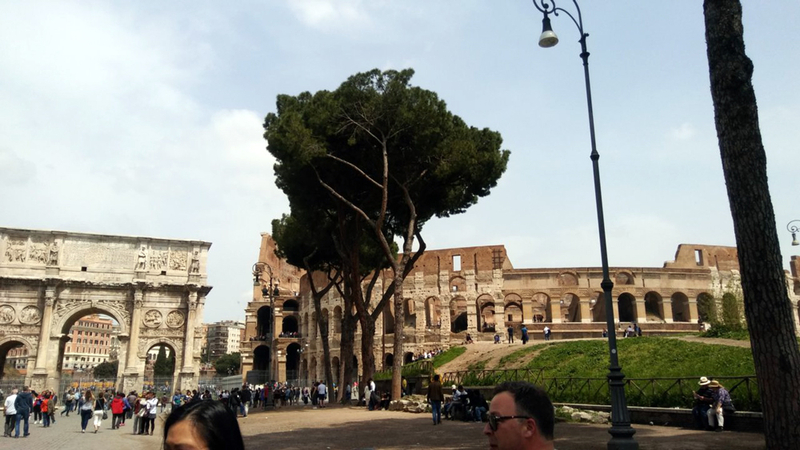 After the morning visit to the Vatican Museum and Sistine Chapel, we met with Marco our Tour Guide for Rome again to visit the Colosseum and view so many ancient ruins on the way. 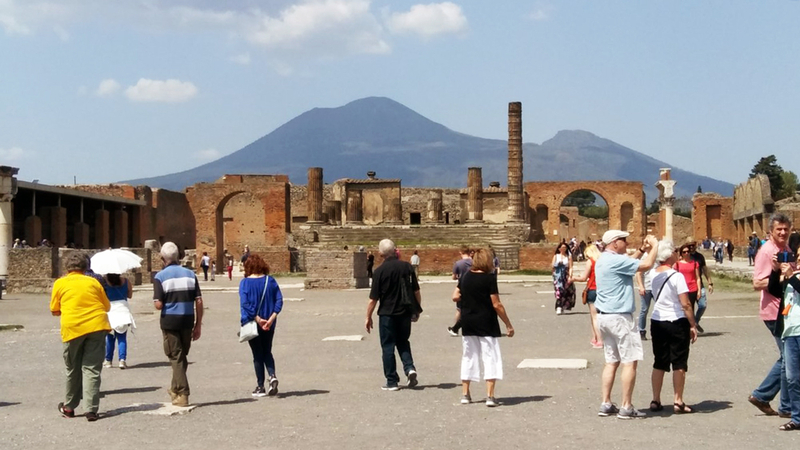 Italy requires specifically trained expert guides in each city in addition to our Trafalgar Tour Director. 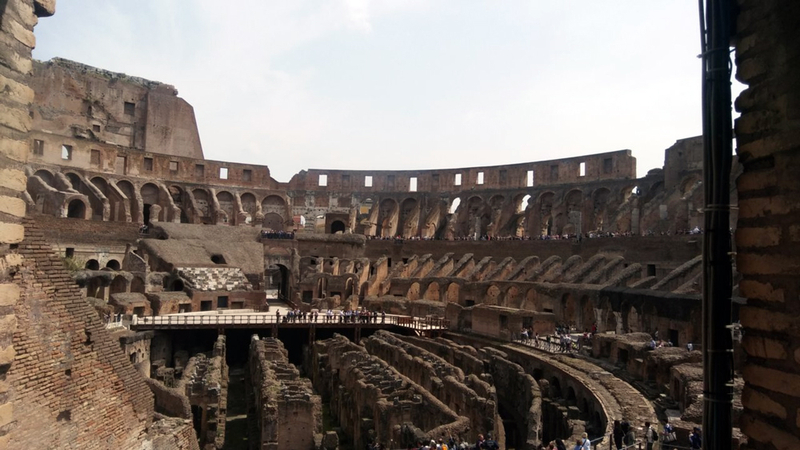 We drove by Circus Maximus which once hosted Gladiators and Chariot Races among other forms of Roman entertainment and learned the venue continues public entertainment tradition today hosting concerts by such legends as Bruce Springsteen and The Rolling Stones. Delights of Rome with Dinner. 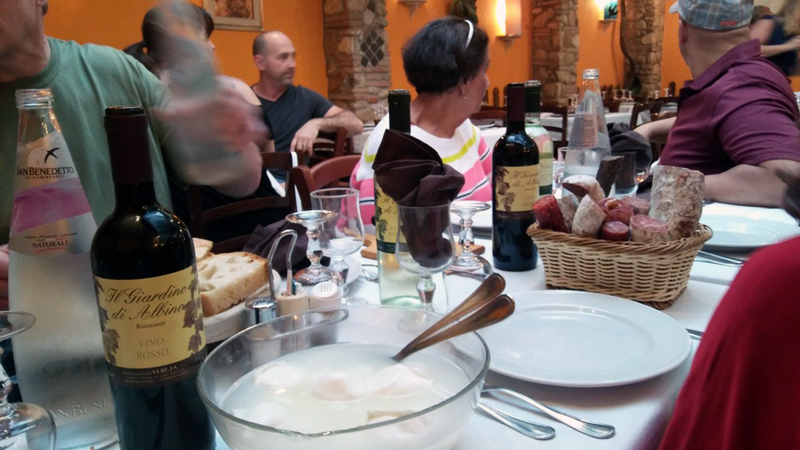 Before dinner begins, we have fresh Buffalo Mozzarella (in the bowl with water), a basket of cured meats, fresh baked bread and wine all prior to main entrees, vegetables, desserts and digestiv. 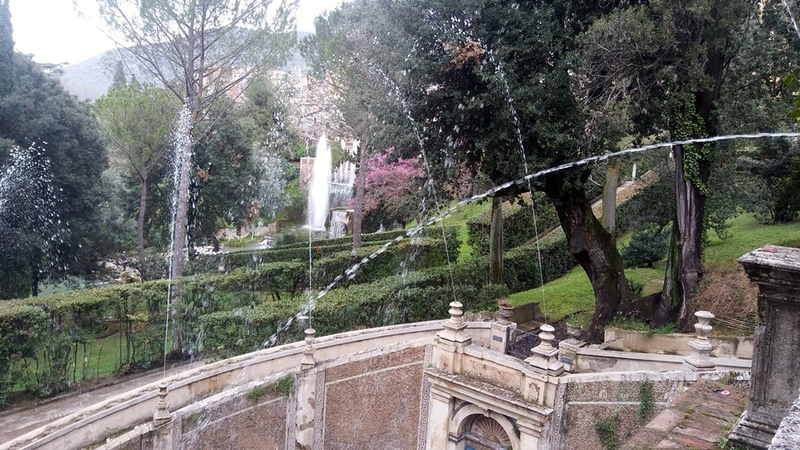 Day 3 – Rome At Leisure – We chose the optional Tivoli And Gardens of The Villa D’Este excursion. This structure the famous Water Organ Fountain. 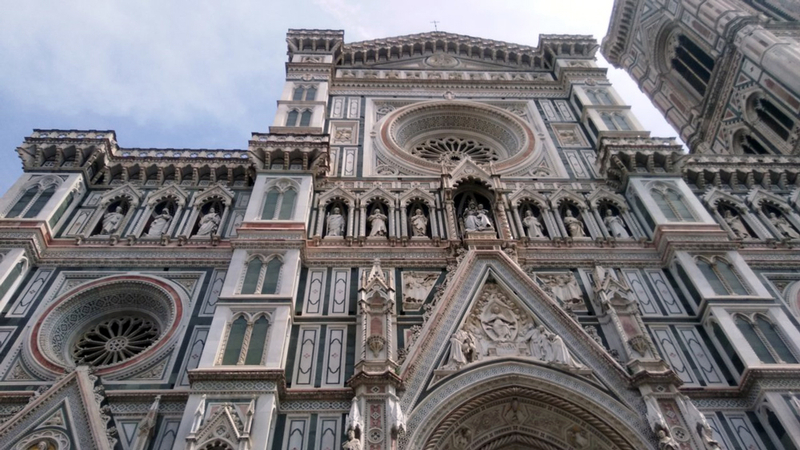 Designed and built during the Renaissance with no electricity, the organ doors in the middle open at noon and play music all powered by only hydraulic-pneumatic technology (water and air). Fascinating and enchanting. 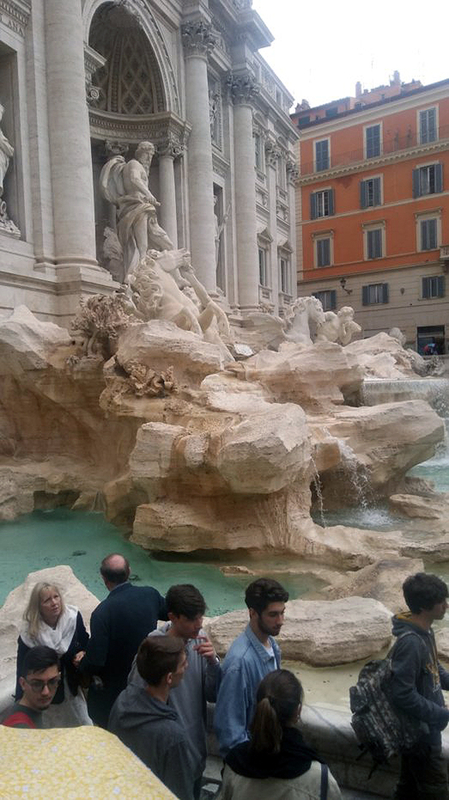 We went back to Rome for an afternoon at our leisure. 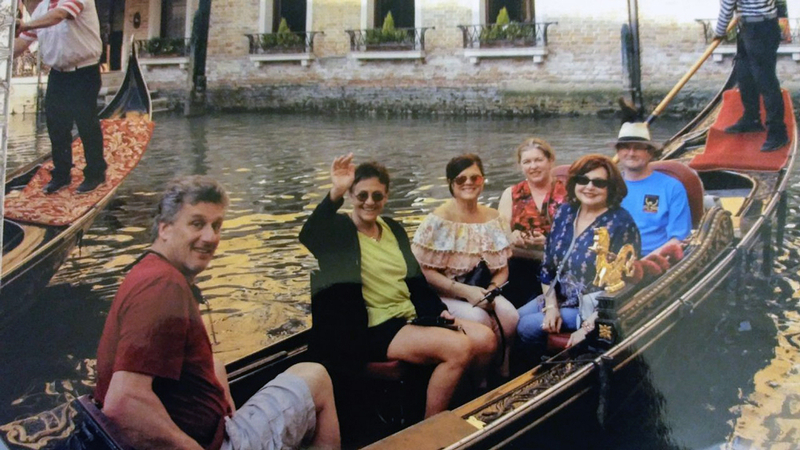 Later that evening on our Italian Concerto with Trafalgar we met Lara and Marco and fellow guests for an evening tradition called a “passeggiata” or leisurely stroll as we explored several Piazzas (public squares) and Fountains before dinner on our own. 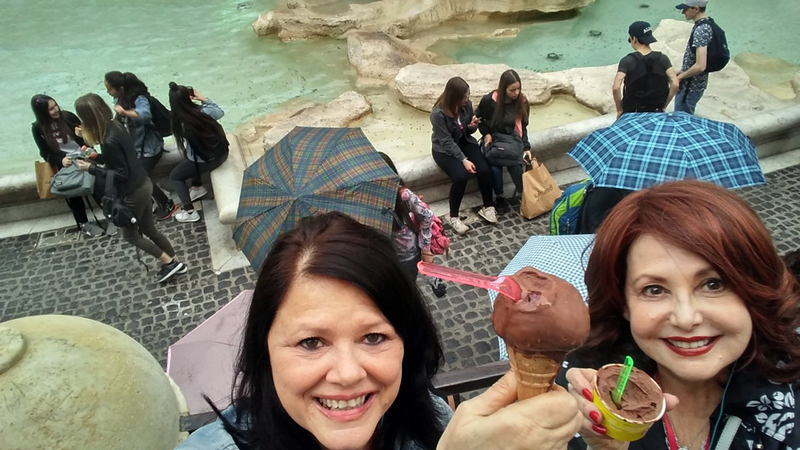 Enjoying a delicious gelato in front of the Trevi Fountain. 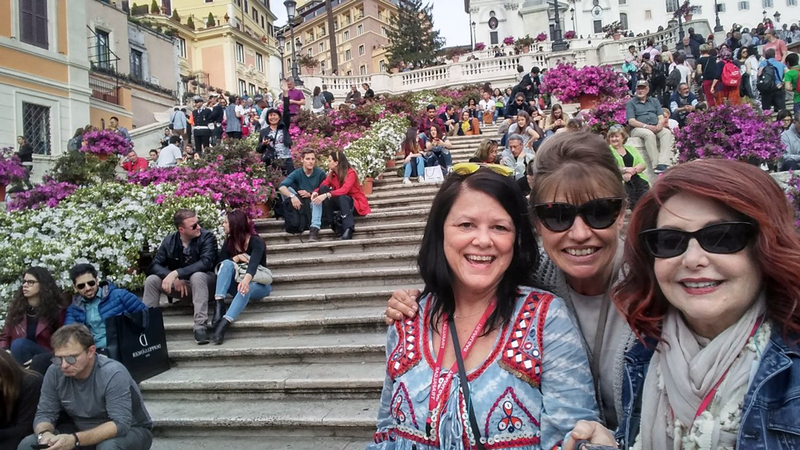 On to Piazza di Spagna. 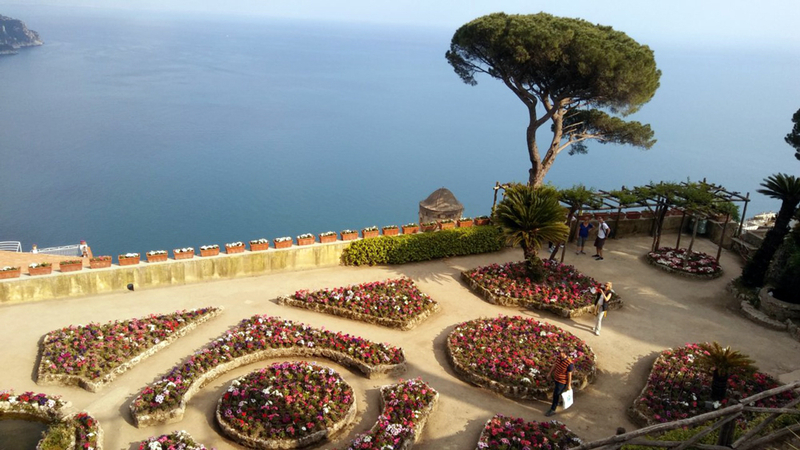 We made our way down and learned all these beautiful flowers go away on May 1 as it becomes too hot to keep them. 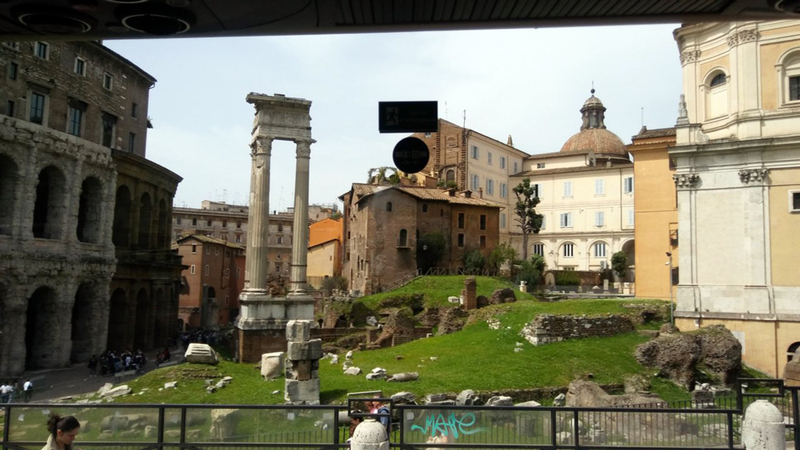 Day 4 Goodbye to Rome off to Pompeii and then on to the Amalfi Coast! 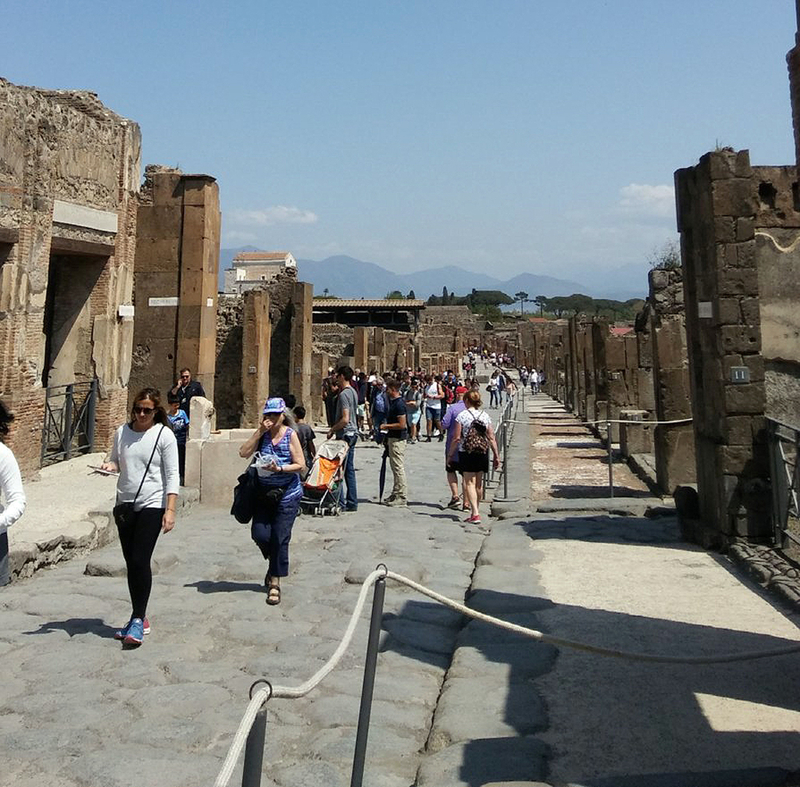 Original Roman roads which accommodated pedestrians and chariots. 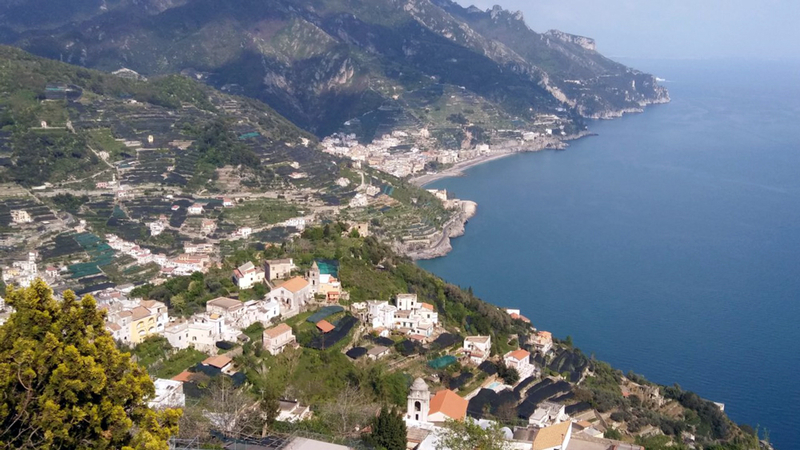 we move on to the Amalfi coast! 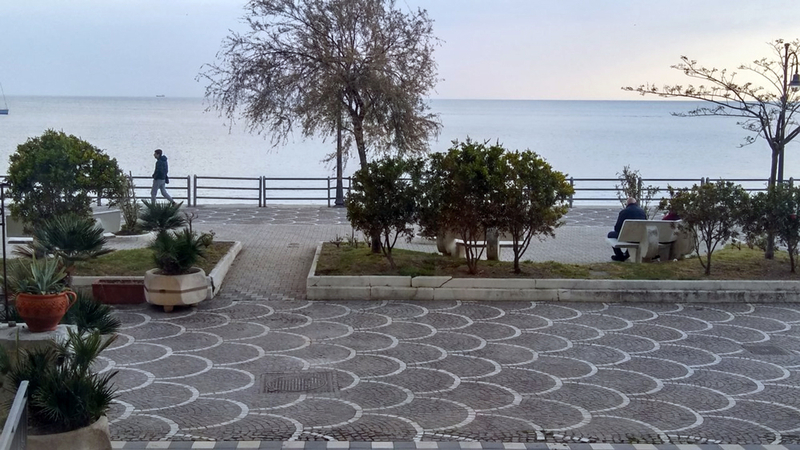 Taken from front of our hotel – right on the water! 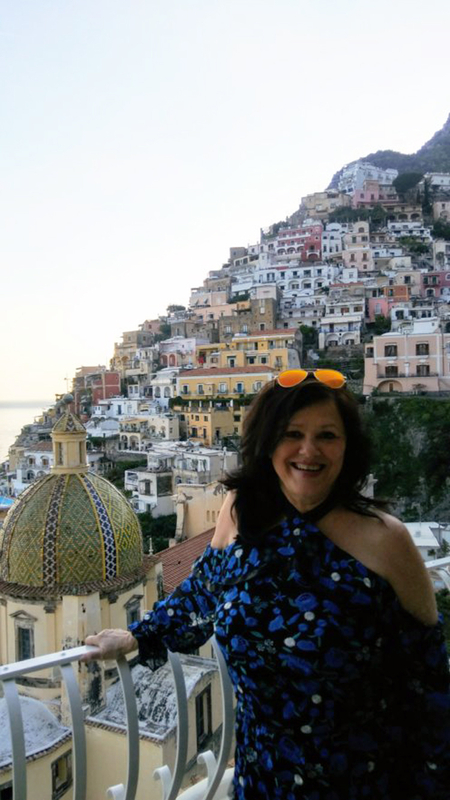 Day 5 – Amalfi at leisure –I had always wanted to visit two world famous hotels in Positano and I got to do exactly that! We relaxed in our hotel and slept in late for the first time. Had a leisurely stroll and lunch on the water and just took our time getting ready for our evening. 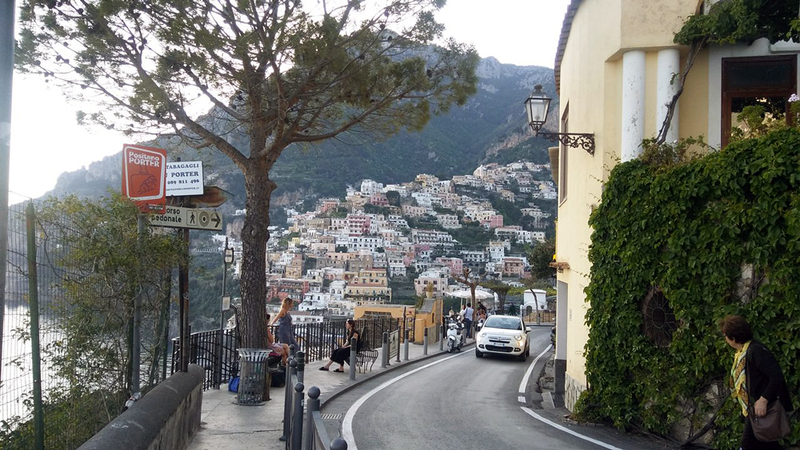 Others had taken an excursion that was supposed to be the next day but had to be changed to today and so it conflicted with my plans and reservations already set up in Positano. 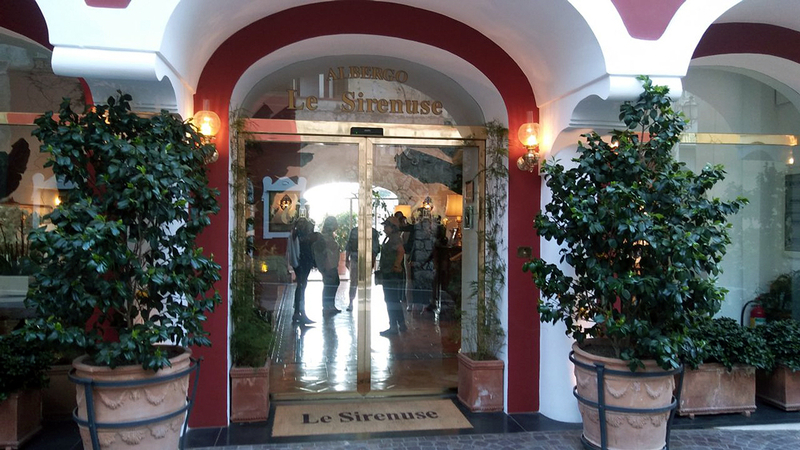 I was a little sad to miss Capri but was just thrilled to visit Le Sirenuse Hotel in Positano! It was the setting in one of my favorite movies and I have wanted to visit there for over 20 years! 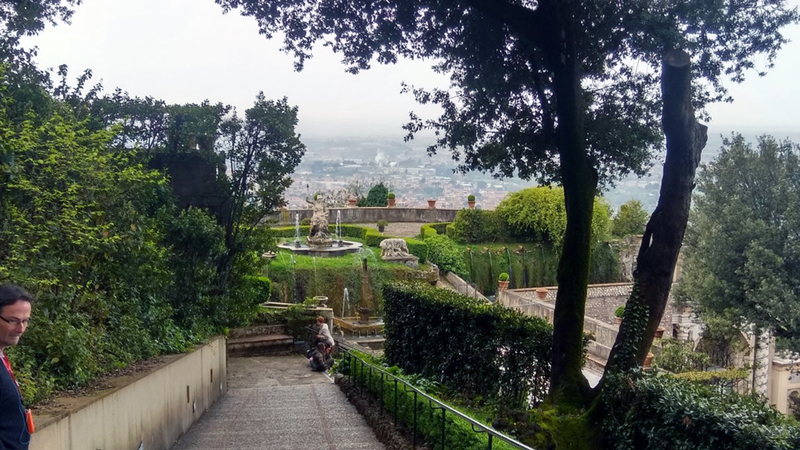 We hired a private driver and little did we know we’d go in such style, a handsome Italian man appears with a gorgeous black Mercedes sedan to pick us up and take us to one of my most anticipated evenings ever! He played some American music along with Italian classics, and then I hear Ed Sheeran together with Andrea Bocelli and I had never even heard that collaboration before. The drive up the cliffs while listening to enchanting music was a dream come true. 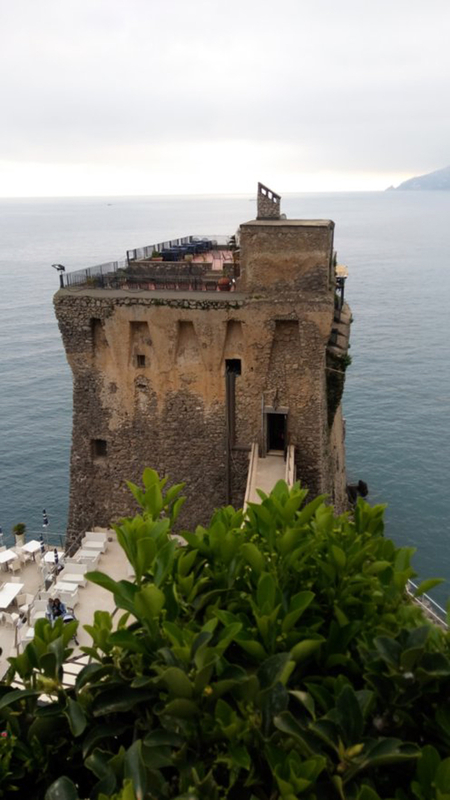 Dinner later that evening in a Forte overlooking Amalfi at Torrre Normanna. 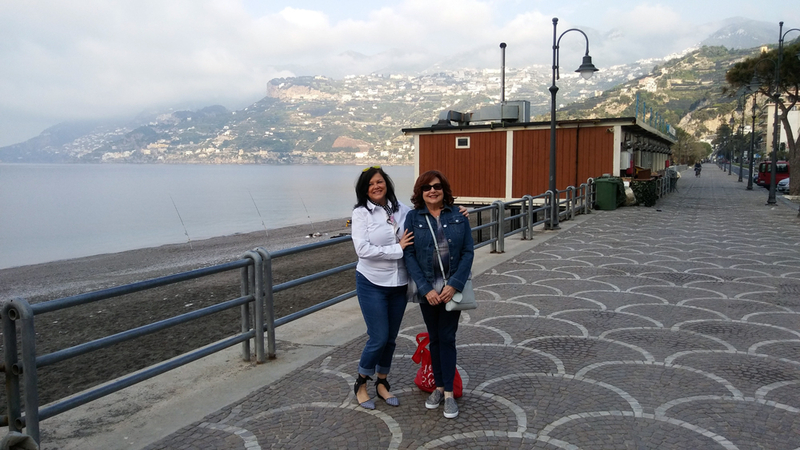 Day 7 – Arreverdecci Amalfi on to Florence! 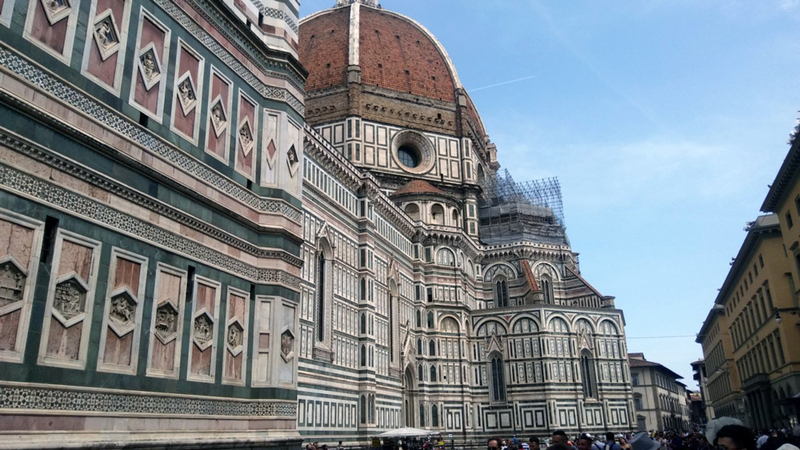 We are in Florence! 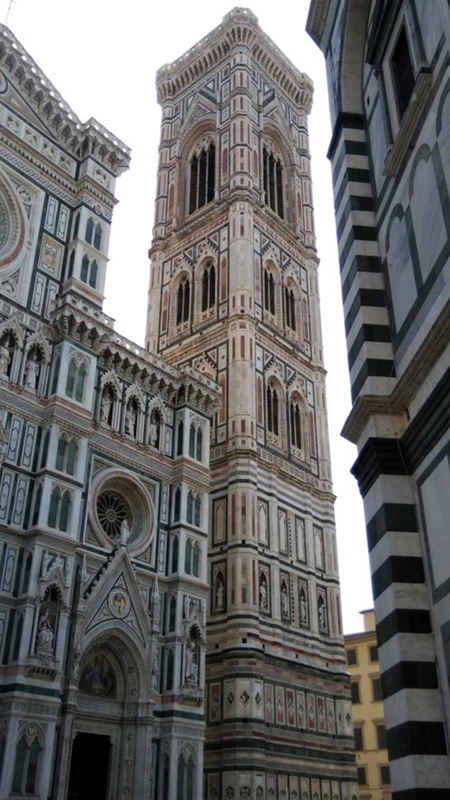 The view from our hotel balcony of famous red tiled Duomo. 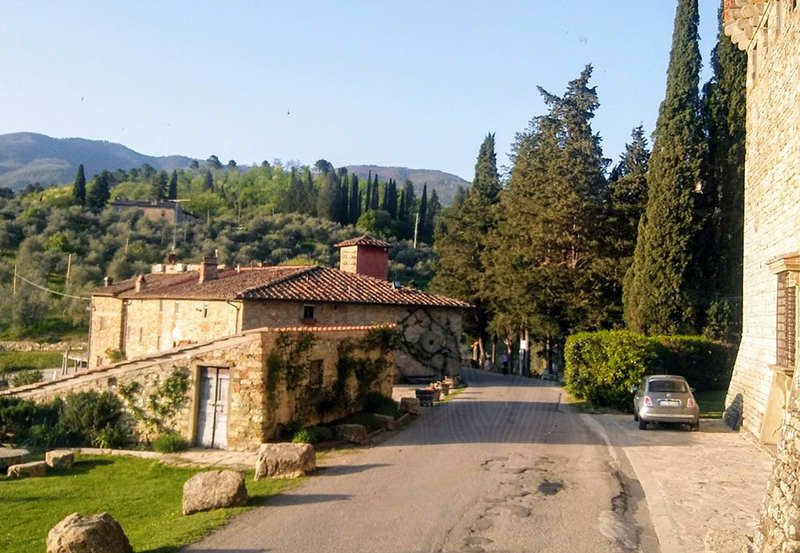 That evening, we had an optional Dinner, Wine and Music in The Tuscan Hills – Tre Pini – They make a beautiful Blue Prosecco, made naturally from the skin of grapes, no artificial coloring! Along with lovely Chianti’s and other Tuscan varietals. This is Anti pasti FIRST COURSE before pasta, meat entree, veggies and dessert. Not going hungry in Italy! 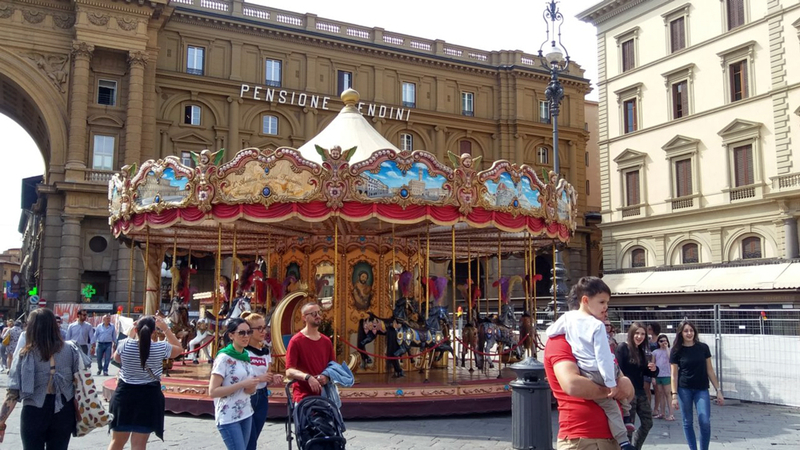 We skipped the early morning walking tour and opted for a leisurely late morning start and walked the city on our own. 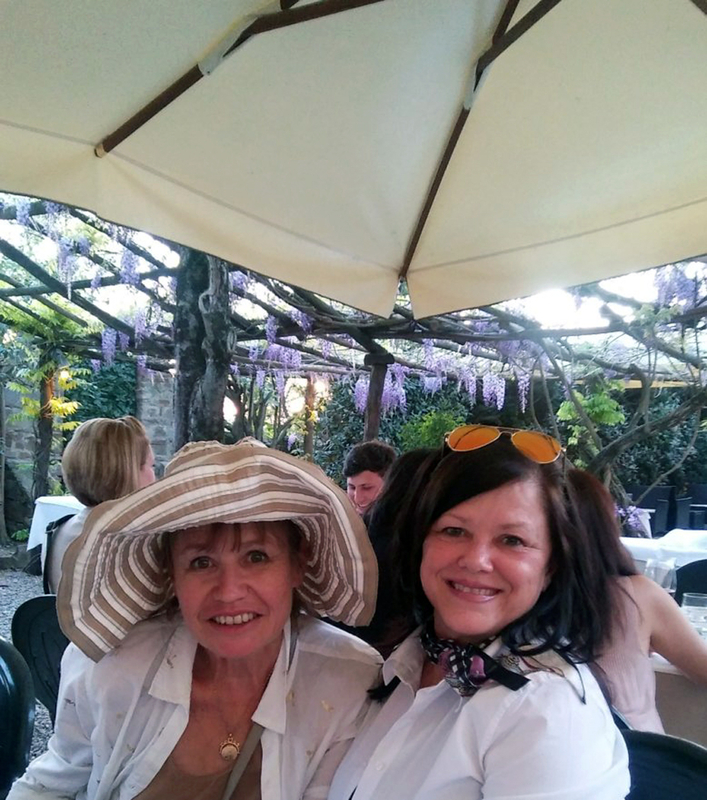 Be My Guest dinner in a castle in Tuscan Hills at a family’s castle! 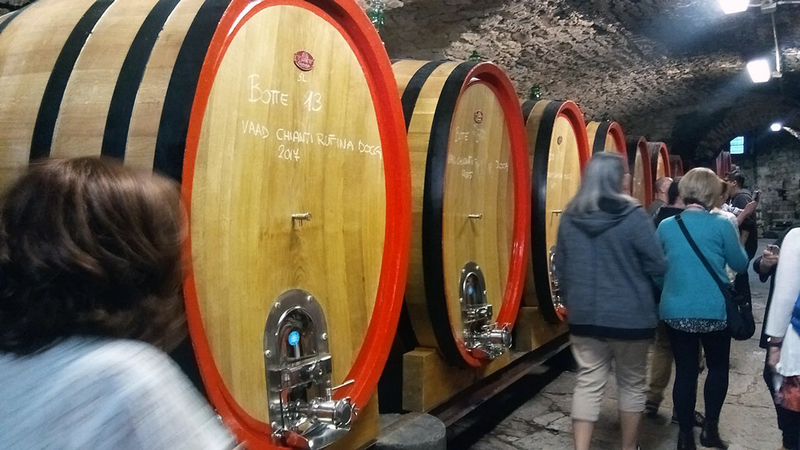 They also have a working winery, vineyards and olive groves and make their own olive oil. 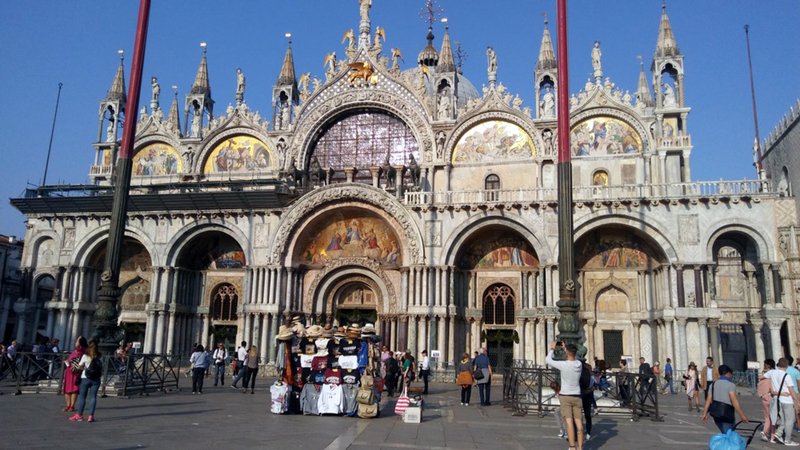 Day 9 – On to Venice! 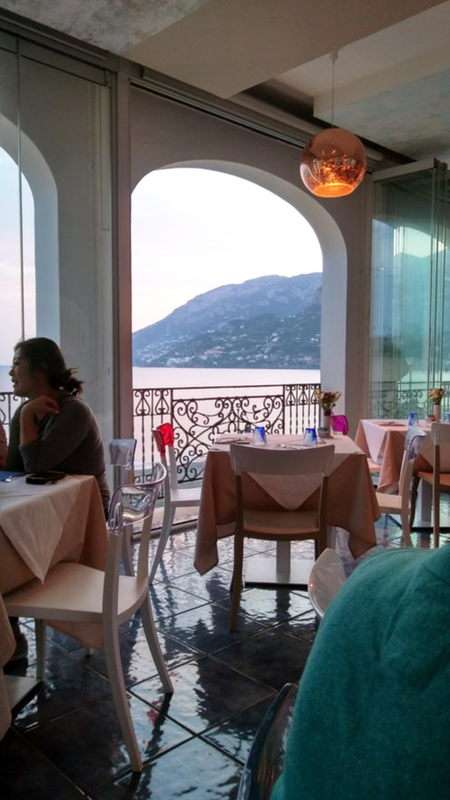 View from our gorgeous Hotel Principe restaurant. 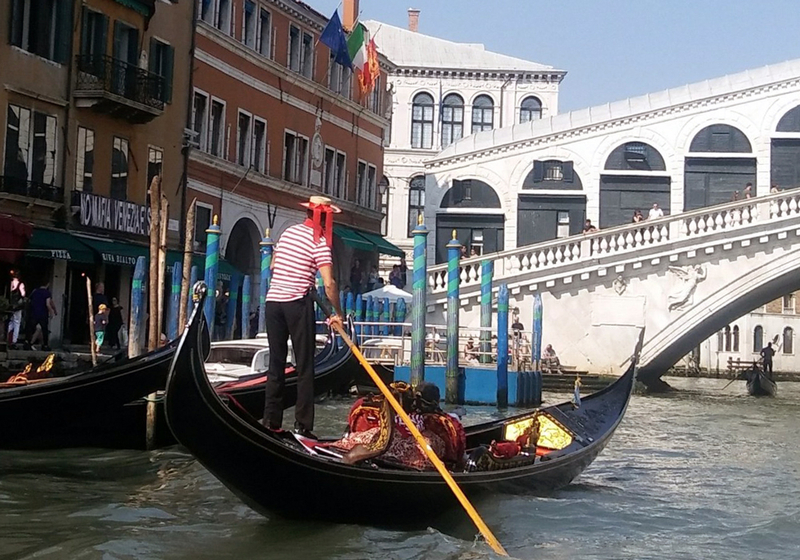 Optional Gondolas and the Grand Canal. 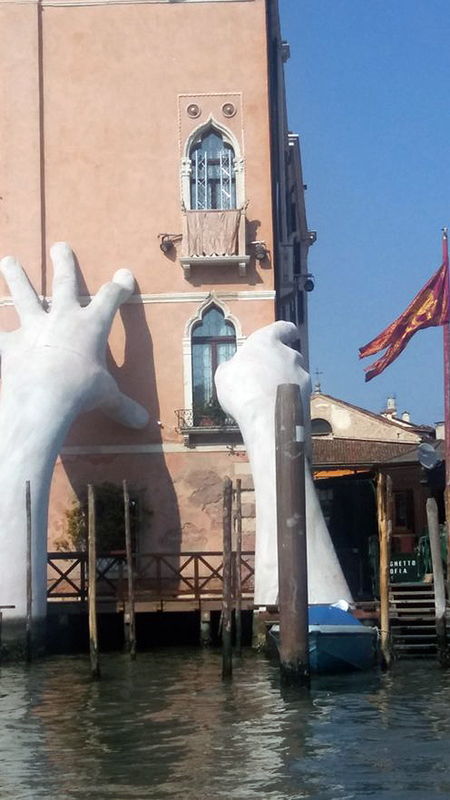 Day 10 – We watched a Murano Glass Factory glass blowing demonstration. 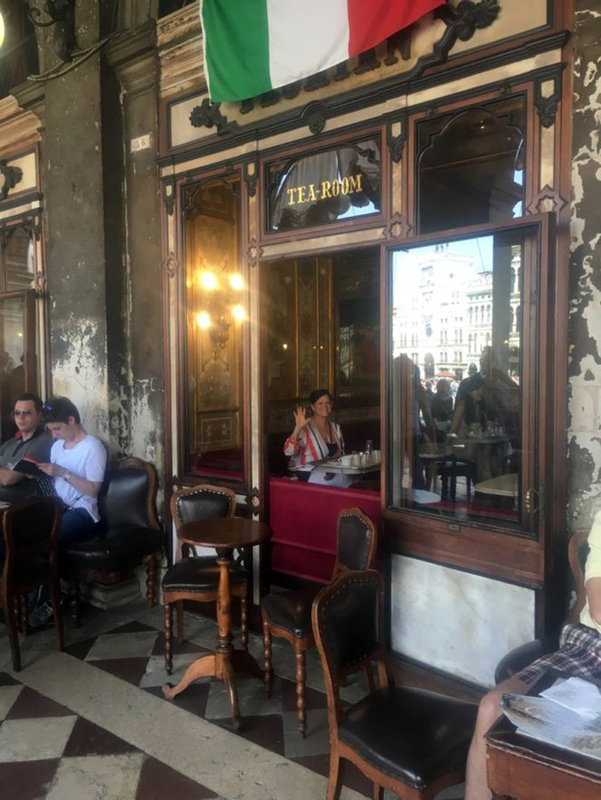 Famous Cafe Florian. 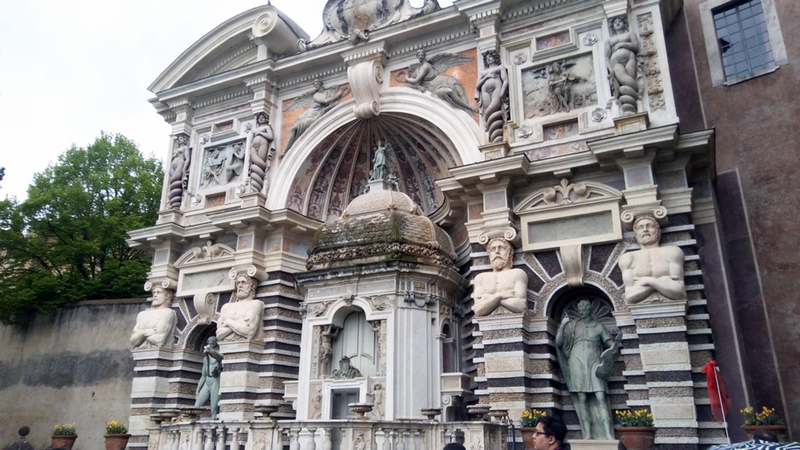 Casanova was known to bring his lady friends here and is birth place hot HOT CHOCOLATE! It’s definitely a splurge here but great history and people watching! Little did I know the Music Room where we dined added a fee which funded the public orchestra outside. You are welcome everyone! We also saw the Bridge of Sighs – named after the sighs the newly convicted made while taking their last look back at beautiful Venice before heading off to prison. I have a deep sigh now too at the end of my amazing trip. If you can’t tell by now I highly recommend Italian Concerto with Trafalgar, just GO! 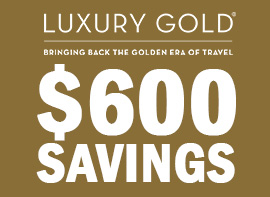 View All Trafalgar Dates And Itineraries!